There is nothing more I enjoy than writing about slots that I love. Thunderstruck slot is definitely one that falls into that category. 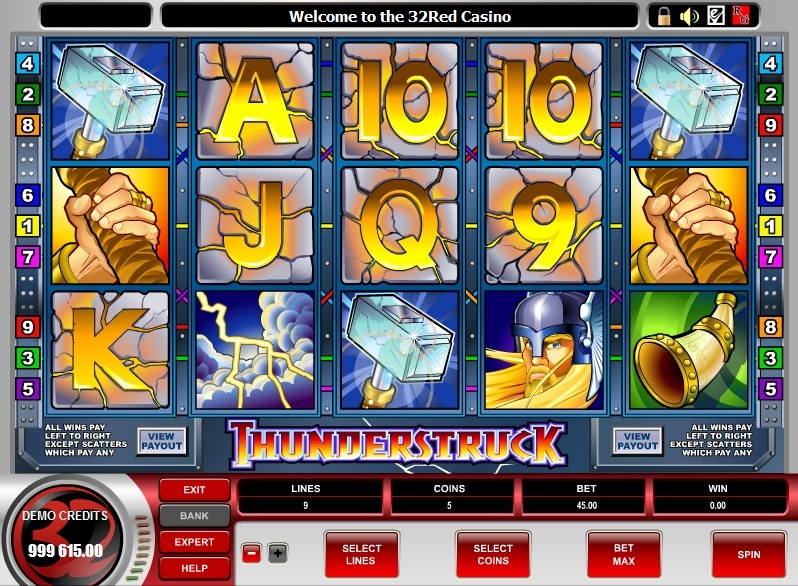 Thunderstruck has been around for years and was my go-to slot online back in the day when Microgaming casinos accepted US players. Sadly that is not the case currently, but we all live in hope. 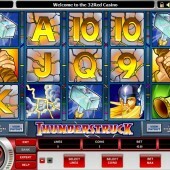 The Thunderstruck slot is still well and truly available online in most parts of the world, accept the US. So if you live elsewhere then there is a good chance it will be available for you to play. If you haven’t tried it for yourself then I would recommend you give it at least one go. In my humble opinion it is one of the few slots that gets the right balance between wins in the regular game and bonus round. To get through to the bonus round you need to get 3 or more scatter ram symbols on any of the 5 reels. This will give you 15 free spins, with a 3x multiplier. This can retrigger and back in the day it led to some pretty big payouts for me. For a classic video slot with a decent expected return (RTP) of 96%, you can’t really go wrong with Thunderstruck. Although, I do recall having days on this game where my luck did seem to dry up. Other slot games from Microgaming that play in a similar way are Ladies Nite and Spring Break.